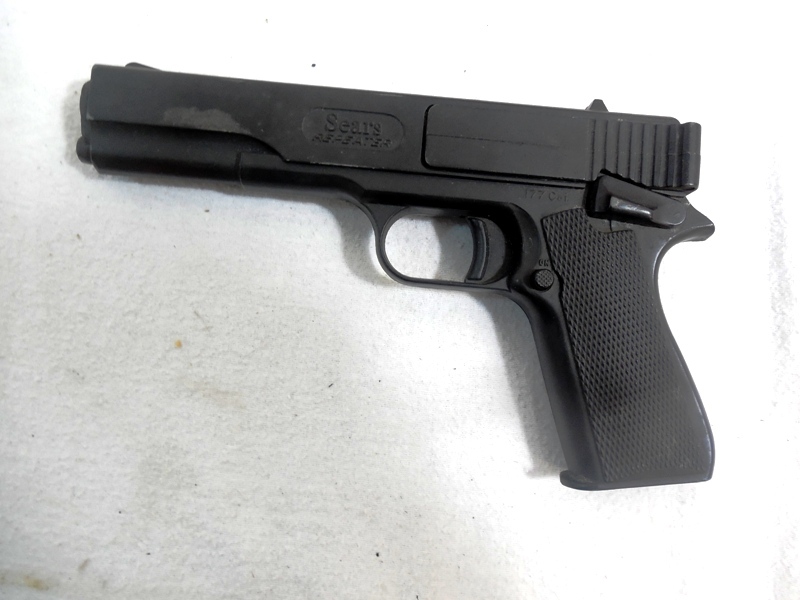 The Crosman Model 600 is a .177 caliber repeater spring action air pistol that will shoot bb’s, pellets or darts. 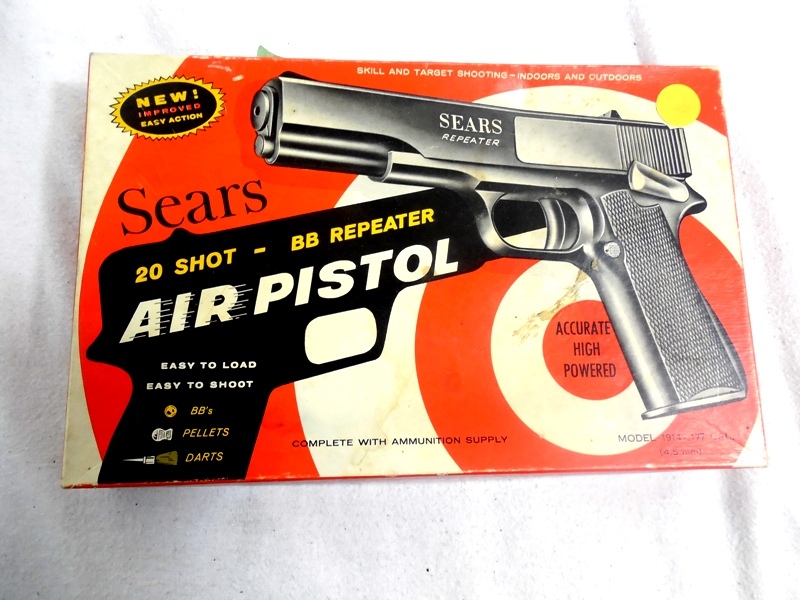 The Marksman Model 1010 Repeater was made beginning in 1977. 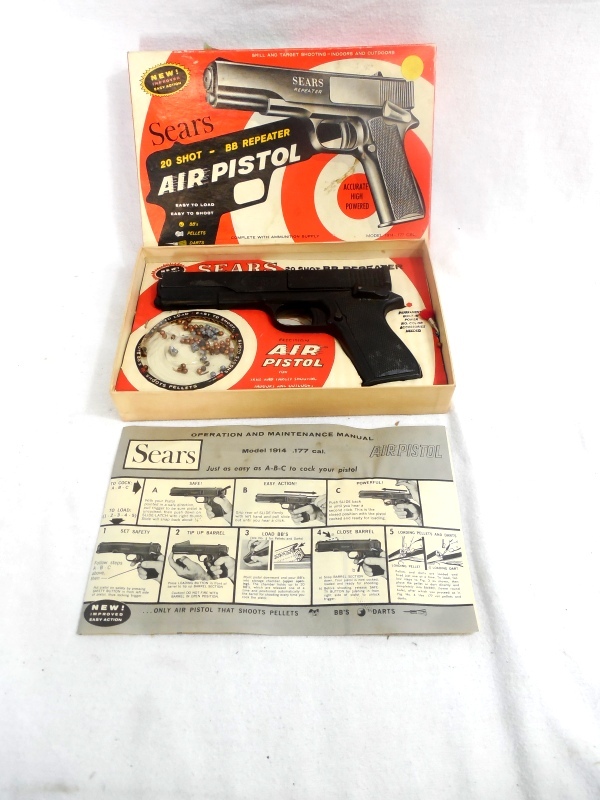 The Marksman 1010 Repeater is a fairly low velocity air pistol made for indoor use. I tested this one with a bb and it seems to shoot fine. However we are selling this as a collector’s item as is with no return.